You might have heard of cat acne before. Or maybe you’ve noticed small bumps on your cat’s chin and are wondering if cats can get cat acne just like people? 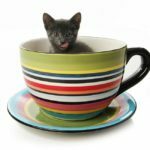 Often, cat owners assume that their pets can get the same disorders and health problems that humans get. Other times, cat owners assume the opposite and consider cats and humans to be completely different. Cat acne is no different. You’ve probably heard about it, but misinformation on the internet can be rampant. In this article, we’ll lay your questions to rest and tell you everything you need to know about cat acne, starting with whether or not they can get it. Yes, cats can get acne. Just like humans, cats produce oils and have hair follicles. This oil can clog their follicles and cause acne to form. Afraid that your cat might have cat acne? Take a good look under your cat’s chin and compare it to this description. Cat acne can change in appearance depending on whether or not a secondary infection is involved. Cat chin acne is the most common form of cat acne, though this disorder can also form in other areas on your cat’s face. In cases where a secondary infection has not yet set up shop, cat acne looks a lot like dirt underneath your cat’s chin. It somewhat looks like blackhead in humans, though they are usually smaller and closer together. Cats will almost always have at least one blackhead-like spot underneath their chin, but it is usually not noticeable. When a patch of these blackheads develops, however, it becomes more apparent. As cat acne advances, it can begin to turn into red, itchy bumps and begins to resemble pimples in humans. If the acne is left to continue advancing, it can progress to abscesses that rupture and become crusty. It is at this stage that secondary infections set it. Cat acne is very similar to human acne. As mentioned, it is found almost exclusively on a cat’s chin, but can also form on their lips and nose occasionally. Cat acne forms when your cat’s hair follicles become plugged by a material called sebum. Sebum is a type of oil that is produced by the skin. When this oil builds up, it can clog your cat’s follicles and trap bacteria, which inevitably leads to cat acne. Some cats might experience a one-time outbreak of cat acne, while other cats might have chronic acne that never really goes away. The seriousness and frequency of cat acne differ a lot from cat to cat. Just like some humans have severe acne that requires medical intervention while some humans hardly get acne at all, your cat’s acne experience will be completely individual. The easiest way to tell if your cat has cat acne is by simply looking under their chin. Though cat acne is commonly thought to be dirt, once you know what to look for, it is hard to overlook. As we’ve discussed, cat acne can appear as both blackheads and whiteheads depending on the stage and severity. Pimples and watery crusts are also symptoms of cat acne and indicate a later progression of the disorder. 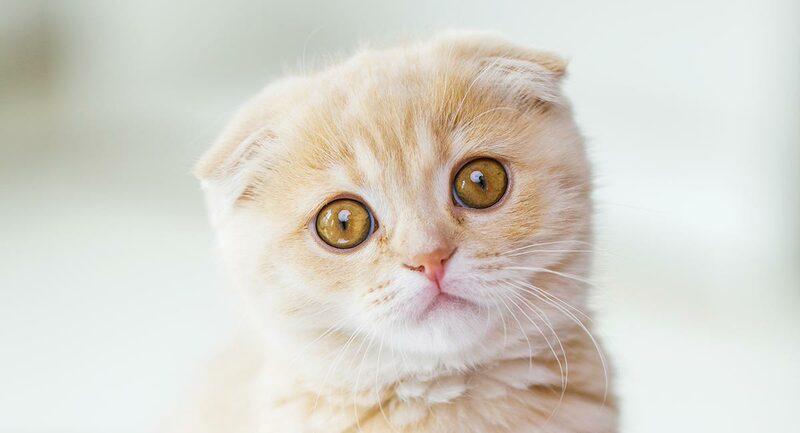 In the most severe cases, cats will exhibit pain, hair loss, bleeding crusts, and nodules. If your cat has any of these symptoms, it is important to seek veterinary attention to ensure that a secondary infection does not set in. If your cat’s chin acne begins to bleed, it is likely that it has progressed and needs medical attention. Because cat acne is often itchy, it is not uncommon for a cat to scratch it repeatedly, which can result in bleeding. It is important to note that bleeding is almost always a result of an open wound, which likely requires antibiotics when it is associated with cat acne. 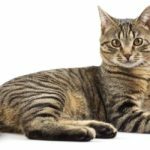 It is very easy for cats to get a secondary infection with their acne is combined with an open wound, so your vet should take a look at your pet as soon as possible to ensure that a bacterial or fungal infection does not take root. So, you think your cat has cat acne. But, what causes cat acne? There is usually not one single cause of a cat’s acne. Cat acne is thought to be caused by both excessive and poor grooming, but abnormalities in your cat’s skin surface or oil production can also play a role. If your cat is allergic to anything, coming into contact with that substance might start a case of cat acne. However, it is usually almost impossible to identify what this substance is since it can differ from cat to cat. Cat acne is also thought to form when a cat has a compromised immune system, though this does not always appear to be a contributing factor. Genetics, breed, age, and gender do not seem to play much of a role in the likelihood of cat acne to occur. Viruses such as feline calicivirus and the feline herpes virus also do not seem to play a role. Basically, just like in humans, the exact cause of one cat’s acne is up for speculation, and it is likely that multiple contributing factors lead to the development of cat acne. If your cat’s acne has progressed, however, it is sometimes necessary to perform a skin scraping to rule out other diseases, such as mange, a yeast infection, and ringworm. Since these diseases can become serious, ruling them out is important. If your cat’s acne has ruptured, begun to weep, or show other signs of infection, your vet might perform a culture to determine if a secondary infection has set in. It is very common for cat owners to wonder about how to treat cat acne. It can be worrisome to pet owners, who often just want to know how to get rid of cat acne. Most mild cases of feline acne will not require treatment. Instead, the cat acne will clear up by itself within a couple of weeks or so. Your vet will probably recommend keeping an eye on your cat’s acne to ensure that it does not progress or become infected. If your cat has had previous cases of acne that have become infected, your vet might prescribe cat acne wipes to prevent another infection from occurring. In most mild cases though, you will likely be instructed to simply leave your cat’s acne alone and call the vet if you notice any signs of infection. If your cat’s acne is chronic or comes back repeatedly, your vet can work with you to design a maintenance schedule that will prevent you feline friend from having repeated outbreaks. This will probably involve cleaning the site of the acne once a week or so with cat acne wipes or antibiotic soap. If your cat’s acne has progressed, a round of oral or topical antibiotics will probably be prescribed. Luckily, cat acne is almost never a serious condition and is usually very easy to treat with the right medication. Cat acne is rarely a serious disease and usually clears up on its own in a matter of weeks. 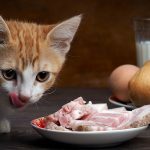 If cat acne progresses or becomes infected, antibiotics might be necessary, but even then, it is very unlikely that it will result in long-term damage. As long as a cat is given medical treatment, their prognosis is extremely good. Cat acne can often be prevented by keeping the chin and nose area clean. Usually, cats can do this without our help, but if a cat is extremely young or old, they might require our assistance to keep the area in tip-top shape. Still, some cats get cat acne no matter what you do. In these cases, it can be very hard to prevent cat acne from forming, even while working closely with your vet on a maintenance routine. Cat acne is a common condition in cats, though it rarely progresses to the point of treatment. 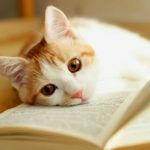 To give your cat the best care, you just need to keep an eye on them, and know what symptoms of infection mean they need to see a vet this time. Hopefully, this guide gave you all the information you could ever need to know about cat acne. If your kitty has had acne, please share your story with other cat owners in the comments box below. 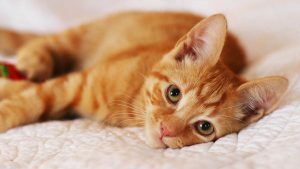 “Feline Acne: Causes and Treatment.” Animal Health Foundation. Rosenbaum, Michele. “Identifying, managing feline acne, non-parasitic otitis and allergic dermatitis.” Veterinary News. 2002. Jazic. “An Evaluation of the Clinical, Cytological, Infectious, and Histopathological Features of Feline Acne.” Veterinary Dermatology. 2006. Grant, David. “Feline Acne.” Veterinary Practice. 2015. Ward, Ernest. “Chin Acne in Cats.” VCA Hospitals.